Planning to find a quiet island in Thailand for your honeymoon? We have listed the best and most private places to escape to after the big day. 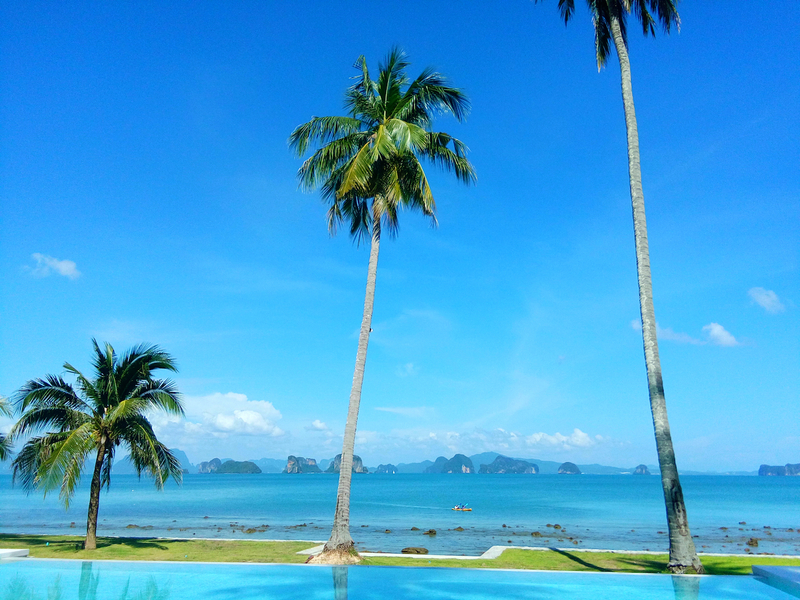 Nestled in a bay between Phuket and Krabi on the Andaman coast, Koh Yao Noi or “Small Long Island” is the best island in Thailand for honeymoon seekers looking for a quick escape to tranquility and untouched nature without the excessive travel time. The island’s close proximity to the mainland and Phuket International Airport makes it an easy jaunt from Bangkok (for the cheapest domestic flights book with local airlines, such as Air Asia, Thai Smile and Nok Air) with a 30 minute speedboat ride from Phuket. This tropical dreamland is all about romance, with Koh Yao Noi’s silky beaches and plush resorts designed with honeymooners in mind. Organize a candlelit seafood dinner for two on the beach, trek through the lush rainforest or take off on a day trip to nearby uninhabited islands and find your own private island in paradise. On the gulf coast, Koh Chang is one of Thailand’s best island escapes, accessible from Trat Province. Koh Chang offers accommodation for every budget, from high end resorts with stunning beach and jungle views to primitive bamboo bungalows on the sand where you can wake up to the sound of crashing waves. The beauty of Koh Chang is that you can find a bit of everything, from secluded nature to nightlife- but it’s not overdone. Feel like a bit of late night debauchery? Lonely Beach boasts a stretch of waterfront bars and clubs complete with Red Bull vodka buckets and fire dancers. Prefer the great outdoors? Get adventurous with a boat ride through the mangroves and be delighted by the dazzling light show of fireflies, seek out hidden jungle waterfalls on a trek or swim with elephants at Ban Kwan Chang elephant preserve. Koh Chang’s neighbor, Ko Kut is one of the best quiet islands in Thailand where honeymooners can still experience what the Thai islands were like before tourism and mass development swooped in. Getting to Ko Kut is a bit of a journey, but that’s probably why it has managed to retain its natural charm. Fly or take a van from Bangkok to Trat Province, then board a ferry for a one hour trip. Stroll coconut and rubber plantations or unwind with a blissful couples massage on the beach. Visit one of the oldest fishing villages on the island, Ao Salad village, and get a glimpse of traditional Thai island life, as fishermen navigate colorful longtail boats stocked with fresh caught fish and stilted houses welcome visitors at the water’s edge. One of the highlights of the Andaman coast are the spectacular limestone karsts that jut out of the sea. To take in this unique coastal terrain, many couples look towards the Phi Phi Islands in Thailand for a honeymoon, but just South of Krabi off the coast of Trang Province, you’ll discover a cluster of quiet islands in Thailand that are just as beautiful, but much less developed. Koh Kradan is a secret gem that has managed to balance the comforts of resort life with environmental conservation. Resorts on the island offer special packages aimed at honeymooners, so you’ll get both modern indulgences, five-star service and plenty of romance. A vast area of the island is part of a national park. Rent bicycles and cruise through thick rainforest or kayak around the entire island in just three hours. Boat trips can be organized to visit nearby islets Ko Waen and Ko Chueak for snorkelling or stop by Ko Muk and swim through the infamous Emerald Cave.